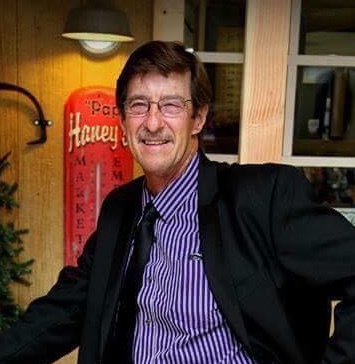 Carson Mills, 65, of Marion, went home to be with his Lord and Savior on Monday, March 25, 2019 at his residence. Carson was born September 22, 1953 in Turkey Creek, Kentucky, to Richard and Ruby (Horn) Mills. He began a lifelong passion of singing gospel music at a young age with his parents and sister, Estelle. This continued throughout his life as he sang with many different gospel groups. Carson worked at Wayne Siding Home Improvements in Wooster for over 30 years before retiring to take care of his parents. Carson is survived by his mother, Ruby Mills of Marion; children Nate (Carol) Mills of Wooster, Jeremy (Christina) Mills of Columbus, and Amanda (Josh) Spears of Wooster; and seven grandchildren, Taylor, Drew and Toby Mills, Graham and Henry Mills, and Sadie and Sophia Spears. Carson was preceded in death by his father, Richard; and siblings Estelle, Earnestine, George and twin infant boys. Calling hours will be held from 11am to 1pm Saturday, March 30th at Turkey Creek Church of the Nazarene in Inez, Kentucky, with funeral to follow at 1pm. Burial will take place at Mills, Horn, Crum Cemetery in Inez, Kentucky.